Democrats are looking to recreate a deal made earlier this year in an omnibus spending bill that President Trump signed, now saying they will budget $1.6 billion for border security measures that do not actually fund the building of a border wall. Trump started the year-end border wall funding negotiations by asking for only a fifth of the funds he needs to build the border wall he promised to his supporters. Since that first offer, Democrats are now reducing the funding they will accept to $1.6 billion, with the catch that the money cannot actually fund a wall. In statements to Roll Call, Rep. Steny Hoyer (D-MD) said he and other Democrats would accept the $1.6 billion so long as the language of the funding makes clear that the money will not be used to build a wall along the U.S.-Mexico border. “The $1.6 billion … the language is broader than just a wall, so I think that that could probably be agreed upon, which was a figure in the Senate bill,” Hoyer said. Such a deal on funding would mean Trump receives less than 70 miles of “pedestrian fencing” in the Department of Homeland Security (DHS) funding bill. Full border wall funding would cost $25 billion, a figure that Trump acknowledges is necessary to construct a wall along the southern border, though he has yet to ask Congress for all the funds. 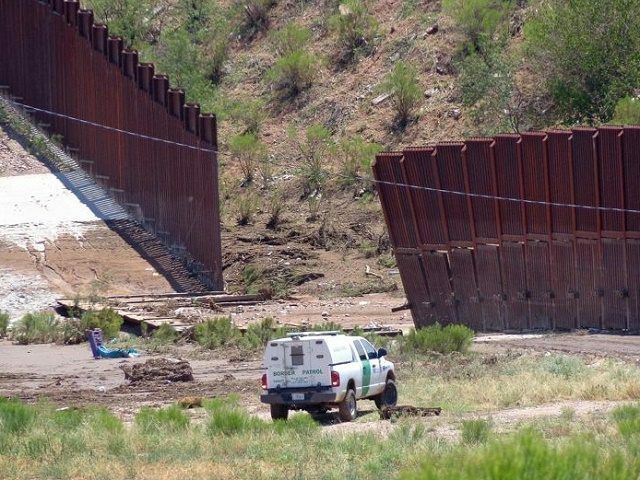 The House DHS spending bill does not include any additional funding for the Border Patrol to effectively detain illegal aliens without releasing them into the American general public. Accepting the $1.6 billion in border security funding — not wall funding — would be almost the identical deal that Trump accepted earlier this year where he settled for $1.6 billion in security funding that banned him from building a border wall.